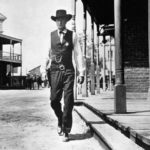 Kyle Dekker joins us to watch a Western that is a not even a little bit subtle allegory for the behavior of Hollywood during the House UnAmerican Activities Committee hearings – High Noon! Gary Cooper won an Oscar for his powerful portrayal of a man who slowly comes to realize that nobody will stand up for him in his time of greatest need. We talk a lot about how much John Wayne hated this film because John Wayne really hated this film. Screenwriter Carl Foreman had to leave the country for England while this movie was filming so he had some knowledge of the damage the HUAC could do. We had a ball watching the movie and we hope you enjoy it as well! Coming up next: Goonies! This time for sure! 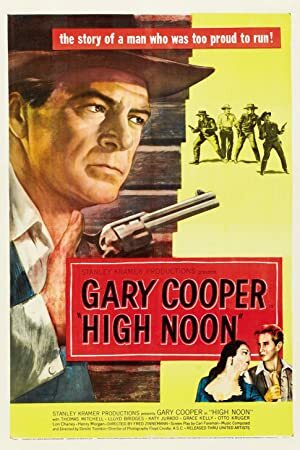 Plot: A town Marshal, despite the disagreements of his newlywed bride and the townspeople around him, must face a gang of deadly killers alone at high noon when the gang leader, an outlaw he sent up years ago, arrives on the noon train.